It's a while since I last posted on here. I have looked in now and again, mainly for the advice. 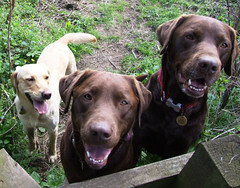 Of the four labs I had back then - Perro, Harry, Bailey and Hollie - only Hollie is still here. However, there will be a new addition on 5th April. He is a Yellow and will be called Henry (he's the avatar at 4 weeks old). It's near 13 years since I last had a pup so I will be spending some time in the puppy section. I remember the needle teeth and razor claws and the soggy patches but there is a lot to refresh. I'm busy looking for puppy 'stuff'. 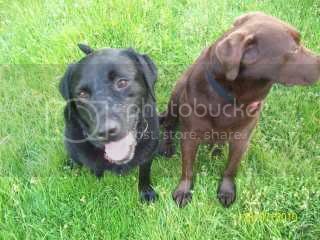 Crate, bedding, toys, treats, stuff to chew on, etc. There is so much I need, most of it I used to have but got rid of. So sorry for your losses - exciting times with a new little 'un. Welcome back! Looking forward to seeing puppy pictures.